Home Tech Design & Supply, Inc. Comment: We would like to add stamped concrete to a narrow outside walkway and around the back patio of the residence and an in-ground fire pit. Comment: Cement patio in need of repair. It started flaking and crumbling after the large amount of snow. Comment: Adding concrete to widen existing walkway below our 2nd level balcony. Special Applications/Finishes: Covers irrigation pipes, drains, etc. Comment: I need to have a section of the driveway that has been lifted by nearby tree roots. I would also like to have some other parts of the driveway resurfaced. Comment: Tree roots have cracked the concrete entrance on the drive. The driveway has several cracks as well. Carnation Concrete Contractors are rated 4.72 out of 5 based on 489 reviews of 40 pros. 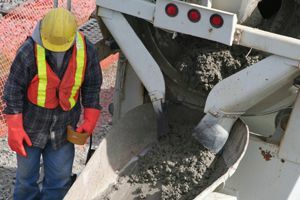 Not Looking for Concrete Contractors in Carnation, WA?